L'Espace sits atop a small hill overlooking a burbling stream, la Sauvanie, which ultimately enters la Dronne in the Perigord Vert region of South West France. 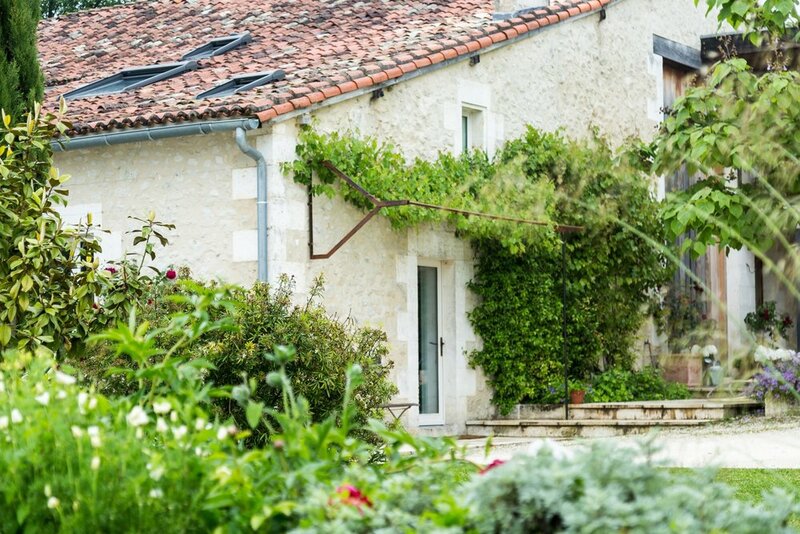 It is situated half-way between the bustling old towns of Angoulème and Perigueux and 100m from our Maison de Maître where we also offer B&B accommodation. Set alone 300m from the nearest quiet road, the property comprises of 2 hectares of meadow and magnificent English and Japanese-style gardens with rare and beautiful plants including Paeonia rockii, roses in abundance, magnolia, wisteria and many, many more. Originally a C14th walnut mill with surrounding buildings, it was reconfigured at the turn of the C19th and then completely modernised to an exacting and luxurious standard in 2002. Several years later L'Espace was also renovated and a modern annex with two large double bedrooms, a second kitchen and two bathrooms, was added. It was given its own salt-water, heated swimming pool open between May and October. 2 hectare gardens and private, heated salt-water swimming pool.